Turkish Eye Lampwork Beads in light blue color. 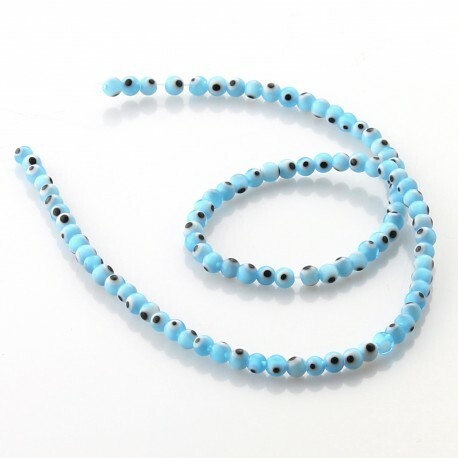 These Turkish Eye Glass beads are light blue, black and white. This symbol is used a lot as a talisman against the evil eye. Made with the same technique with which the Murano glass is made. 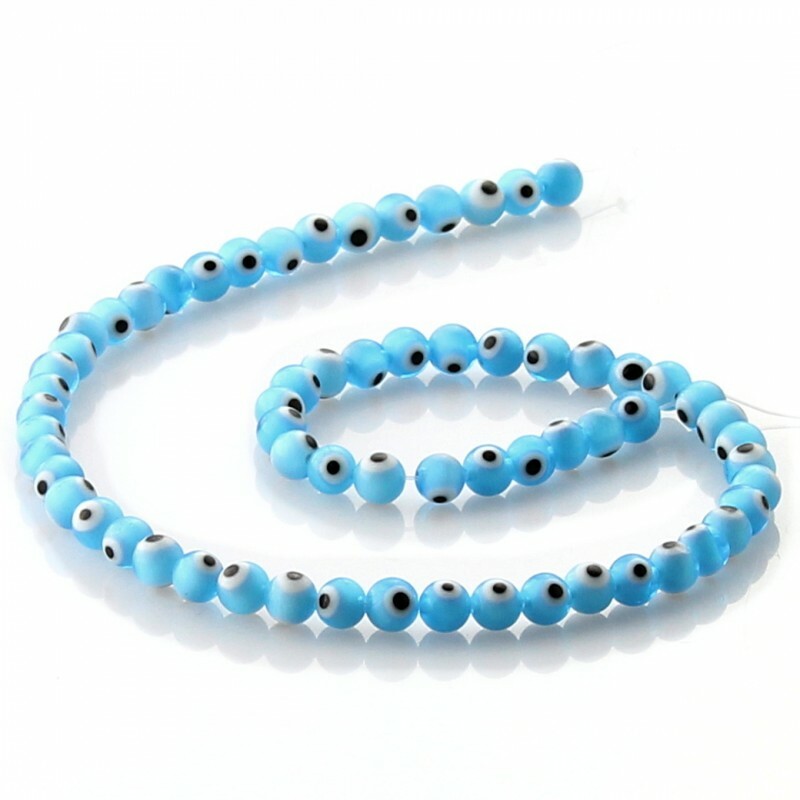 The light blue glass Turkish Eye beads come with a small perforation and threaded into strips between 38 and 40 cm in length. You can find four different sizes of Turkish Eye beads, which can be 4mm, 6mm, 8mm or 10mm.